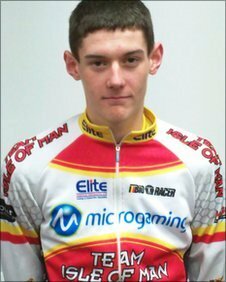 Team Isle of Man Microgaming's manager Gary Mazzone says his team are playing catch-up after the first round of the British Junior Road Race series. Jonathan Cregeen was the best-placed Manx rider, crossing the line two minutes behind winner Jonathan Dibben. "The leading British juniors are coming off the back of a winter on the track, so we will be playing catch-up for the first couple of rounds," said Mazzone. "It was always going to be a big challenge but we will learn from it." Cregeen finished in 36th place, with Warwick Sanderson 47th. Tim Cole got caught behind an early crash and never regained contact with the peleton, while the fourth member of the Manx team, Tom Mazzone, had to withdraw through illness. The next event for Team Isle of Man Microgaming's junior squad is the Junior Tour of Bristol two-day event starting on 9 April.